RETAL presented the company's unique High Grip closure which is now in mass production for a world leading beverage brand and various local brands. High Grip uses the new lighter 1881 PCO standard, saving about 1.3g per bottle, yet retains the convenient overall bottle height of the 1810 PCO because of the taller cap. The new closure is easy to open, not only because of the distinctive grooves, but also because it retains its rigidity due to the height. Co-packers can also continue to use existing stacking trays designed for 1810 specifications. The High Grip eliminates the height difference of bottles and clocks in at a nominal weight of 2.45g – with production volume expected to reach 140 million units by the end of 2018. RETAL also presented its latest container development for Danone. RETAL created a new 160ml PET thermostatic jar that is crucial to the marketing strategy of this dairy giant's new yoghurt product – with RETAL's 250ml version already winning the Danone 'Best Innovative Partner' supplier award in Moscow in 2016. 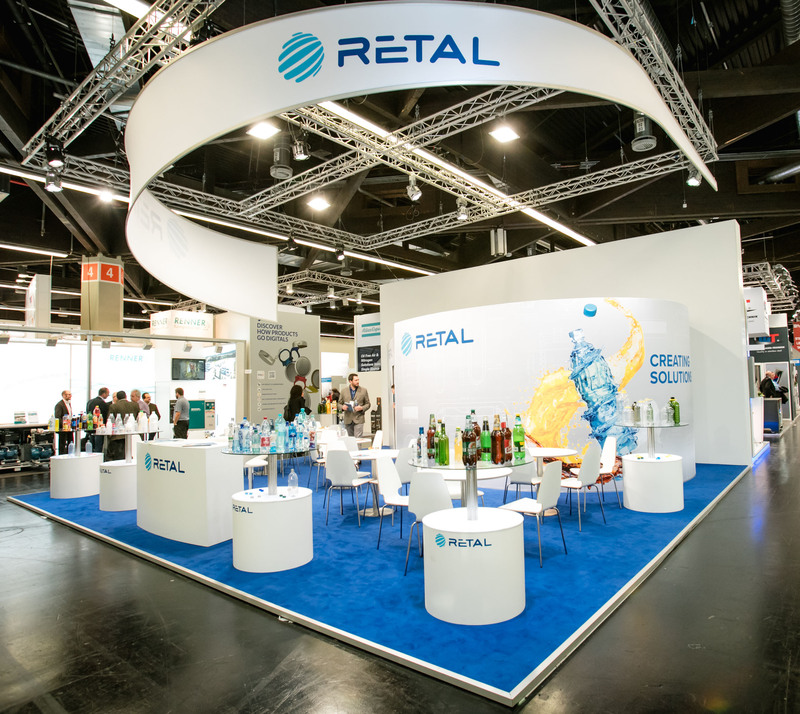 Congratulations on a successful BrauBeviale from everyone at RETAL.